he is the consummate adventure professional. Nathan is 46 years old. He lives in Tasman Bay, near Nelson with his wife Jodie and their 3-children. He is half Samoan. Adventure has been the theme in his life since developing a passion for the outdoors and adventure sport when he was a young teenager. He started running marathons at 16-years old and competed in his first endurance triathlon when he was 17. His first competitive sport was mountain biking where he raced extensively from 1990-1996, as a Cross-country racer he won the NZ Junior Title, South Island Championships, was in the NZ Team for 5-years; qualifying for the Olympics in 1996 (but didn't compete), in that time he competed in Australia, Asia and North America. From Mountain Biking he switched to Multisport getting two podium placings (2nd & 3rd) in the Speights Coast to Coast. 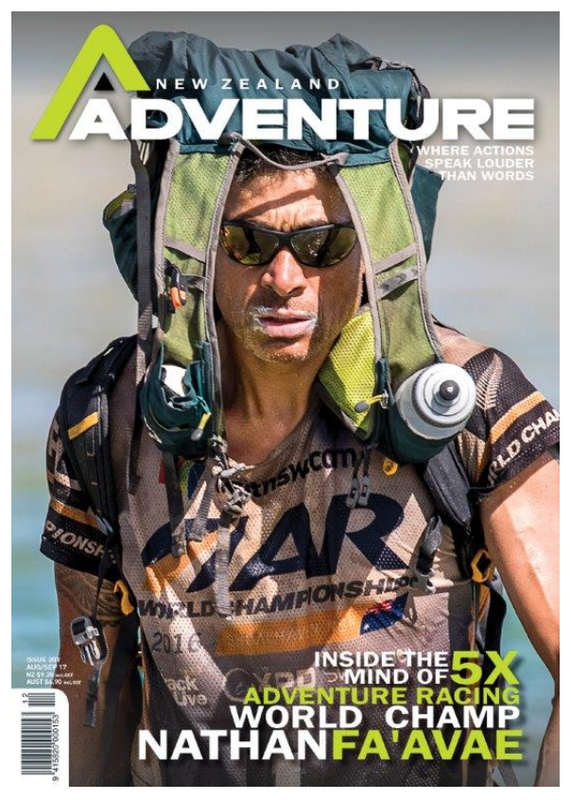 In 1999 he won the Southern Traverse Adventure Race and that launched him into a career in the sport. Nathan has been a semi professional and full time professional athlete for 18 years. During that time he has represented New Zealand at 4 different sports, attending 15 World Championships. He has captained the New Zealand Adventure Racing team to 6 World Championship victories. He has competed in 28-countries. Perhaps what makes his sporting career quite extraordinary is he has battled with a Heart Condition ‘Atrial Fibrillation’ throughout his adult life. He has had three corrective surgeries to manage the condition. He spends a significant amount of time in the wilderness with his children doing adventures. Nathan can assist athletes with coaching and training. Nathan works with athletes over 6-12 weeks with the aim of teaching them the skills to self coach themselves. 1st Adventure Racing World Championships, Reunion Is. Nathan has spent his life climbing, biking, paddling and hiking his way through life and around the planet. He has extensive experience in Sea Kayaking, having paddled in over 15-countries and many exposed trips in NZ, including 7 x Cook Strait Crossings and 3 x Stewart Island trips. As a white water kayaker he has paddled up to Class 5 and has a couple of first descents to his credit. In the summer time he enjoys kite boarding and surf ski paddling. He is an avid trail runner and tramper. Whitewater rafting and canoeing are popular family activities for the Fa'avae crew. In the winter he mainly skis with his family or tours the back country, plus some easy grade mountaineering trips. He races outrigger canoes, road cycling and regularly competes in orienteering, has done a significant amount of caving and canyoning. He has traveled the planet competing in 28-countries and passing through many more. Nathan is a Rotary New Zealand 'Paul Harris Fellow'. Want to book Nathan or discuss an event?